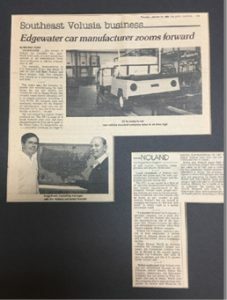 Jim Noland, his wife Betty and his brother Dale Noland started Noland Car Company in the mid-1970s. Prior to starting their own golf car manufacturing business, they were a Pargo golf car dealer. When Pargo went out of business, Noland and his family began building their own vehicles since they had a solid customer base and orders. 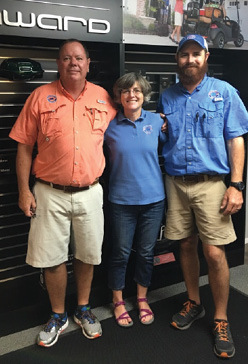 Mr. Noland’s daughter, Carrie Noland Welsh, her husband Greg Welsh, and their son, Jimmy Welsh, own Gulf Atlantic Vehicles in New Smyrna Beach. His family is still in the golf car business in Florida. 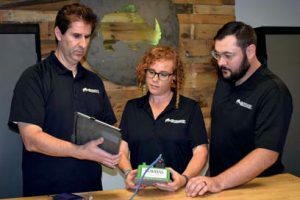 Now a fourth-generation small-family business, Carrie Noland Welsh, her husband Greg Welsh and their son Jimmy Welsh own Gulf Atlantic Vehicles in New Smyrna Beach. 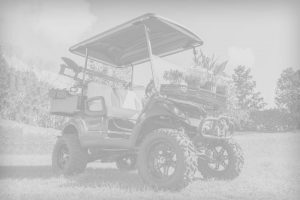 They are factory-authorized Club Car®, E-Z-GO® and Polaris/GEM dealers. Golf Car News wishes to express our heartfelt condolences to the Noland family. The contributions that Mr. Noland made created a lasting impact on our industry.